What is needed is an even handed, non discriminatory approach when discussing this subject. Scientology is a new religion. It has been misunderstood because it is new. Certain individuals capitalize on others’ ignorance and spread lies about it, as Ms. Remini is doing. It does not mean that you should forward those lies. Your July 13, 2017, piece praising Leah Remini for her Emmy nomination is offensive. It presents a single side to a story that I am sure you recognize as shallow and lopsided, for it fails to present any response from the prominent, popular and thriving religion of Scientology. What is needed is an even handed, non discriminatory approach when discussing this subject. Scientology is a new religion. It has been misunderstood because it is new. Certain individuals capitalize on others’ ignorance and spread lies about it, as Ms. Remini is doing. It does not mean that you should forward those lies. It is far better to research and find out for yourself what Scientology truly is. Millions have taken courses in Dianetics and Scientology and have applied it to their lives successfully. Look at those. They will tell you a great deal more than Leah Remini’s twisted renditions motivated by self-preservation and financial greed. 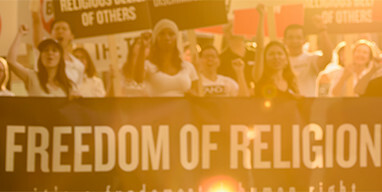 For true information about Scientology beliefs and practices please go to Scientology.org/whatisscientology and scientologyreligion.org.